The Deep Tunnel Sewerage System (DTSS) is an efficient and cost-efficient solution to meet Singapore's long-term needs for used water collection, treatment, reclamation and disposal. Conceptualised and managed by PUB, Singapore's National Water Agency, it was conceived as a cost-effective and sustainable solution to meet Singapore's long-term used water needs. The mammoth DTSS (Phase 1 & 2) project consists of two large, deep tunnels crisscrossing the island, two centralised water reclamation plants, deep sea outfall pipes and a link sewer network. Completed in 2008, Phase 1 of the DTSS comprises a 48km long deep tunnel sewer running from Kranji to Changi, a centralised water reclamation plant at Changi, two 5 km long deep sea outfall pipes and 60km of link sewer. The heart of the DTSS, the Changi Water Reclamation Plant (Changi WRP) is a state-of-the-art used water plant capable of treating 800,000 cubic metres (176 million gallons) or 320 Olympic size swimming pools of used water a day to international standards. 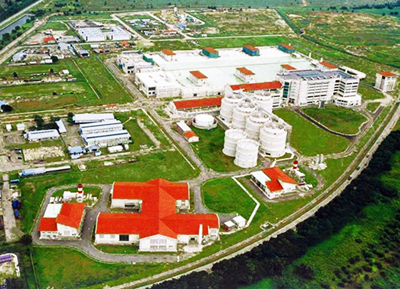 The treated used water is then discharged into the sea through deep sea outfall pipes or channelled to the Changi NEWater factory on the rooftop of the reclamation plant where it is further purified through advanced membrane technologies into NEWater, Singapore's own brand of reclaimed water. Crowned 'Water Project of the Year' at the Global Water Awards 2009 in Zurich, Switzerland on 28 April 2009, the DTSS was selected as the water project with the most significant contribution to water technology and environmental protection. The annual Global Water Awards is widely recognised as one of the most prestigious symbols of achievement in the global water industry. Yokogawa Engineering Asia was selected as the instrument supplier for this megaproject, as part of which it successfully installed more than 1,000 pressure transmitters, level transmitters, magnetic flowmeters, and pH analyzers. One of the key challenges was field device management through PROFIBUS. PROFIBUS incorporates the field device tool/device type manager (FDT/DTM) technology, which enables the monitoring of measured data and the configuration of devices from the operator stations in a central control room. With these requirements in mind, the devices installed in the DTSS were all designed to the PROFIBUS specifications. The other challenge was the large 2.4 meter diameter of the sewage pipes from the influent pump station at the Changi WRP. 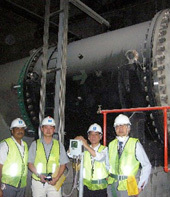 Prior to the installation of two 2.4 meter Yokogawa magnetic flow meters, flow tests were executed at a Yokogawa test facility in China that was sufficiently large to handle tests on this scale. In the presence of the customer's project managers, the flow meters were tested for a three minute period of time to verify that they measured flow with the required level of accuracy and repeatability. Following the successful completion of these tests, the flow meters were shipped to Singapore. By means of PROFIBUS, data and device monitoring and control can be carried out from the central control room, eliminating the need for site patrols. This reduces maintenance costs and maximizes efficiency by enabling quick and timely operator responses. The high reliability and accuracy of our field devices reduces the likelihood of failures and contributes to the minimization of maintenance costs over the entire plant lifecycle.